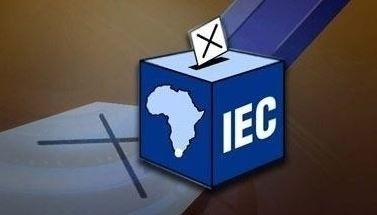 The Electoral Commission of SA (IEC) says the design of the ballot paper for the May 8 elections has been created to "enable easy identification of the party of choice by the voter and to minimise risks of miscast ballots". "Traditionally the electoral commission has used a random draw to determine the first party on the ballot paper with all parties then following in alphabetical order," the IEC said in a statement. This year, however, the IEC enlisted the services of the Human Sciences Research Council to investigate key aspects of the usability of the ballot paper to introduce enhancements to the design. Among the research council's findings were that "there was potential for confusion among voters as a result of some party identifiers that use similar colours, abbreviations and logos. A specific recommendation was that parties that may cause confusion to the voter ought to be separated on the ballot paper". Parties identified to have certain similarities in their acronyms and logos were the African Independent Congress (AIC), the African National Congress (ANC) and the African People's Convention (APC). A random draw was done to determine the position of these parties on the ballot paper. During the draw, the AIC drew the highest number and retained its alphabetical position on the ballot paper between the African Democratic Change and African Renaissance Unity parties. The African Security Congress (ASC) will appear first on the ballot paper and the APC will appear last under the parties starting with the letter "A". According to the IEC, the certified voters' roll puts the number of eligible voters at 26.75m – a 1.3m increase in the number of people who registered to vote in 2014. This is 19 more than the number of parties that contested the 2014 general elections.